If there’s one dish Cebu is best known for, definitely it’s their famous Lechon. When asked, locals will give you a different answer each time you ask them where the best lechon is because there are tons of places selling this tasty, roasted pig. 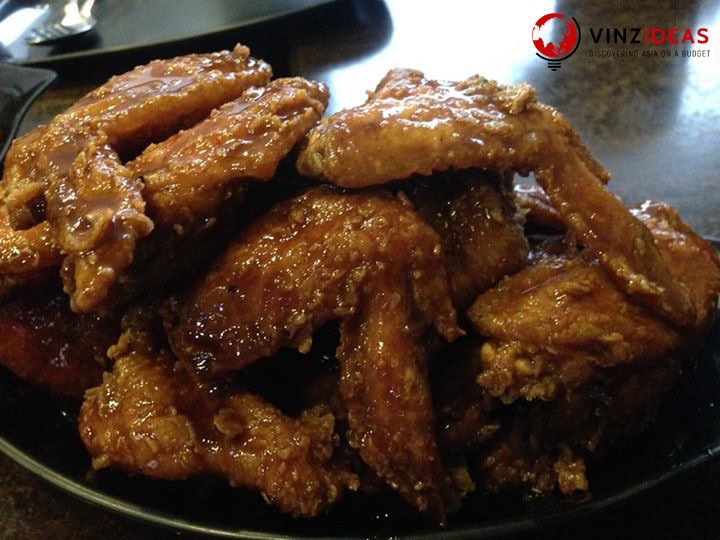 But for the past few months the entry of chicken wings has started making its own name as one of the top foods to try in Cebu. 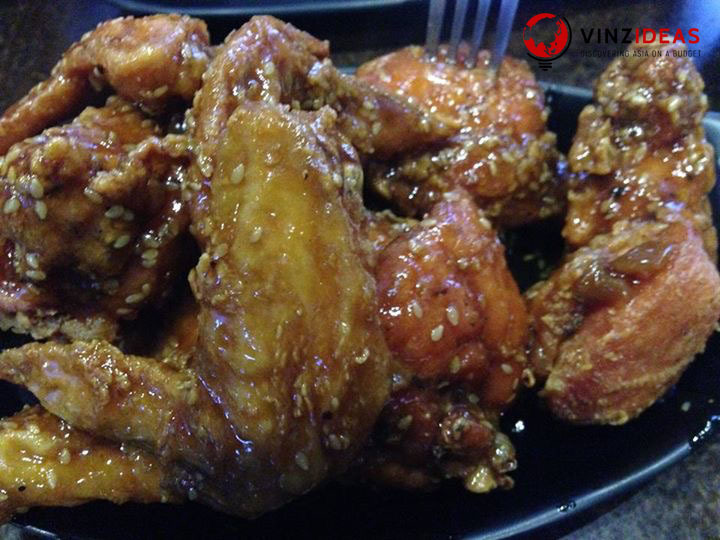 In fact, there are more than twenty restaurants in Cebu that are known to serve only the best chicken wings in town. Last week, eight of my friends and I were fortunate to try one of the best restaurants in Cebu who offers the best and unlimited chicken wings for only Php199.00 ($4.23*). 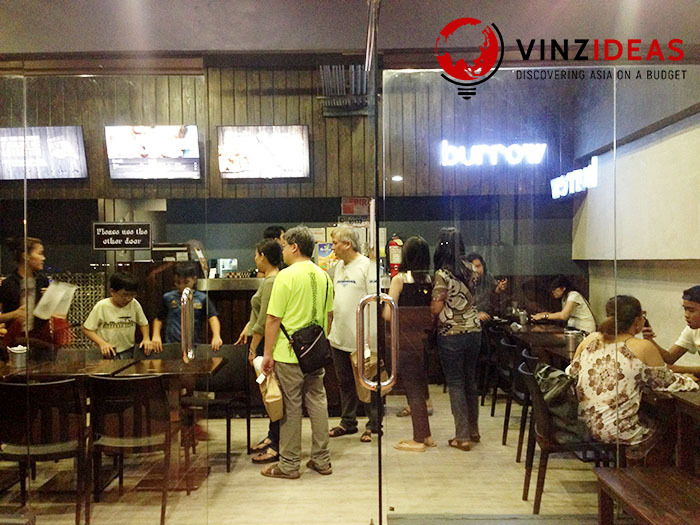 It’s Burrow Lounge in Parkmall and this restaurant is their second branch they opened just this year in Cebu. We were surprised that we got our seat right away because on a normal day, it would be really hard to get a seat and you have to wait for a couple of minutes to get a table because the restaurant was always full. 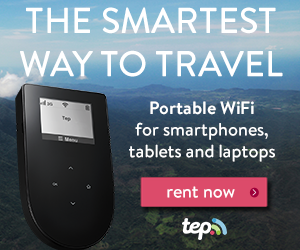 The price comes along with unlimited rice and you just need to add PHP40.00 for unlimited Iced Tea. 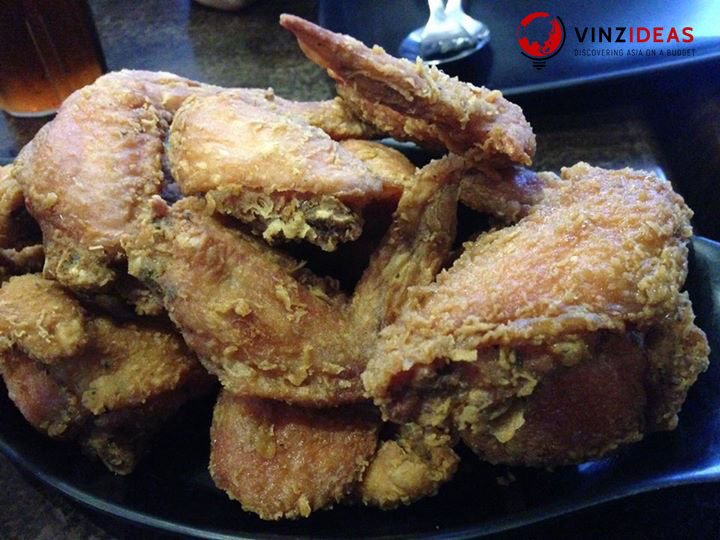 At PHP239.00, it is a good offer especially if you have a gigantic appetite for chicken wings. The restaurant offers other dishes, but people really go there for chicken wings. 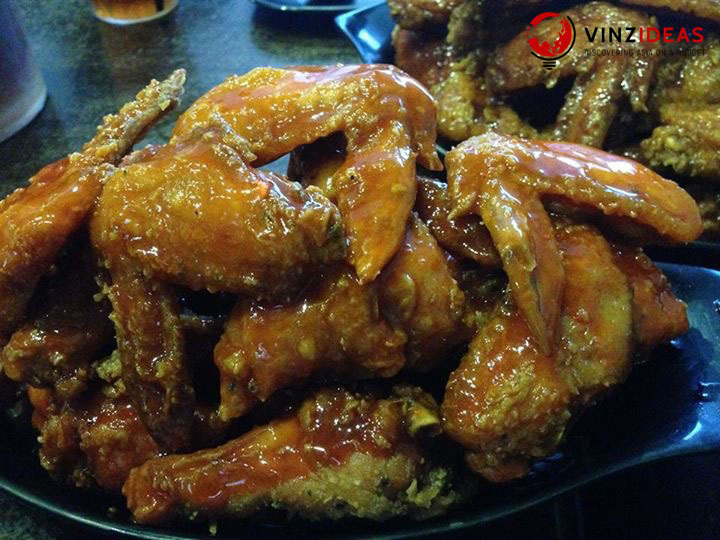 Tips: You can order as many chicken wings as you can, but make sure that you’ll be able to eat all of it. In case you have any leftovers, you can take home all of it, but the restaurant will charge you 20 pesos for every chicken wing. Chili, Mild Teriyaki, Asian Barbecue, and Classic. Our group agreed that all flavors are good, but we can only eat two to three pieces per flavor aside for the Classic one; We can eat the classic flavored wing as many as we can. We all lost counting of how many chicken wings we ate but one thing was sure — everyone’s full and satisfied. 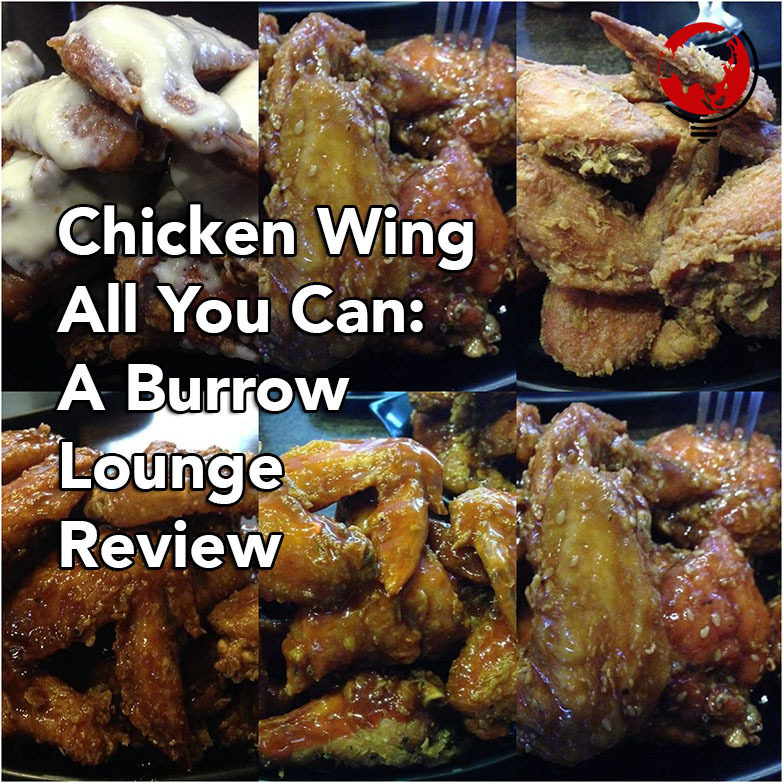 Burrow Lounge may not claim to have the best chicken wings in Cebu, but as a chicken wing lover, I can testify they offer the best value for your money among chicken wings places in the City. 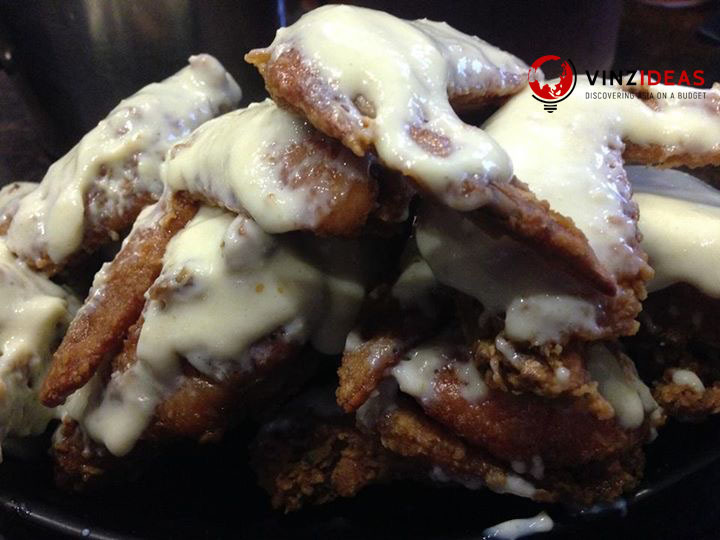 They can actually tag as one of the top competitors of budget eat-all-you-can places in Cebu. Burrow Lounge is best for entire families who want to bond over chicken wings, for group of friends who can compete of who will eat the most number of chicken wings and for lovers and friends who want to bond over chicken wings with beer. 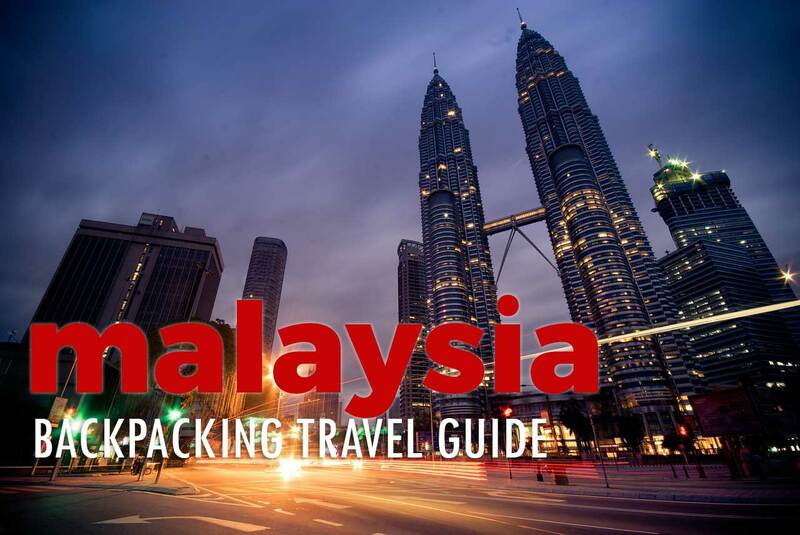 If this is your first time visiting the Queen City of the South, you need to include Burrow Lounge in your itinerary and try one of the best chicken wings in town.